As the children head back to school for the new term, Estate Agents are looking back at their results for the summer period. 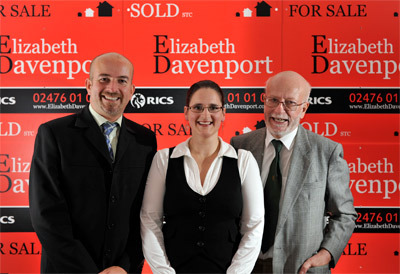 At Elizabeth Davenport, we’re no different and have dug out some interesting results for the holiday season. And in fact the sales figures for July and August have been very good, up on the same period for 2011. By contrast, new instructions are down and overall stocks are currently low. This appears to be consistent with the current market place – several buyers have commented to me how they cannot find what they are looking for and that there is little to choose from. So the market right now is leaving buyers with a lack of choice and plenty of competition for the best properties. So if you’ve got a property that you are considering putting on sale, now is the time to go against the grain and take the plunge. Traditionally September and October are busy months before the Christmas “hibernation” takes place. New properties to the market right now will undoubtedly attract a great deal of interest and if marketed correctly will attract plenty of offers and ultimately a sale. As the adage goes “There’s no time like the present”, so why not get a free valuation on your home right now. Call me on 02476 010105 and I’ll be happy to drop by and give you some free professional advice without obligation. The act of taking the first step is what separates winners from losers.